Is your child ready for more complex math concepts? With Horizons 2nd Grade Math Student Book 1, he'll add and subtract up to four-digit numbers, determine place values to the 1,000s, learn multiplication facts 0-10, and more! The student workbook in this Alpha Omega curriculum contains lessons 1-80 with 8 review tests. Pages perforated for easy removal. Capture your child's attention with fun, brightly illustrated lessons in the Horizons 2nd Grade Math Student Book 1 from Alpha Omega Publications. This softbound, consumable workbook reviews basic math concepts learned in Horizons 1st Grade Math as well as introduces new skills such as adding, subtracting, and multiplying money; reading a Fahrenheit thermometer; determining liquid measure equivalents; reading graphs and maps; and solving word problems. What's more, hands-on lessons and learning activities in this Alpha Omega curriculum will make math your child's favorite subject of the homeschooling day! But wait, there's even more! Comprehensive review tests follow each series of 10 lesson plans to make evaluating your homeschool child's performance easier than ever. And with easy-to-remove worksheets, your child will be able to display his A+ math lessons with pride. So why are you waiting? Keep your child's love for mathematics strong with this award-winning, elementary math curriculum. 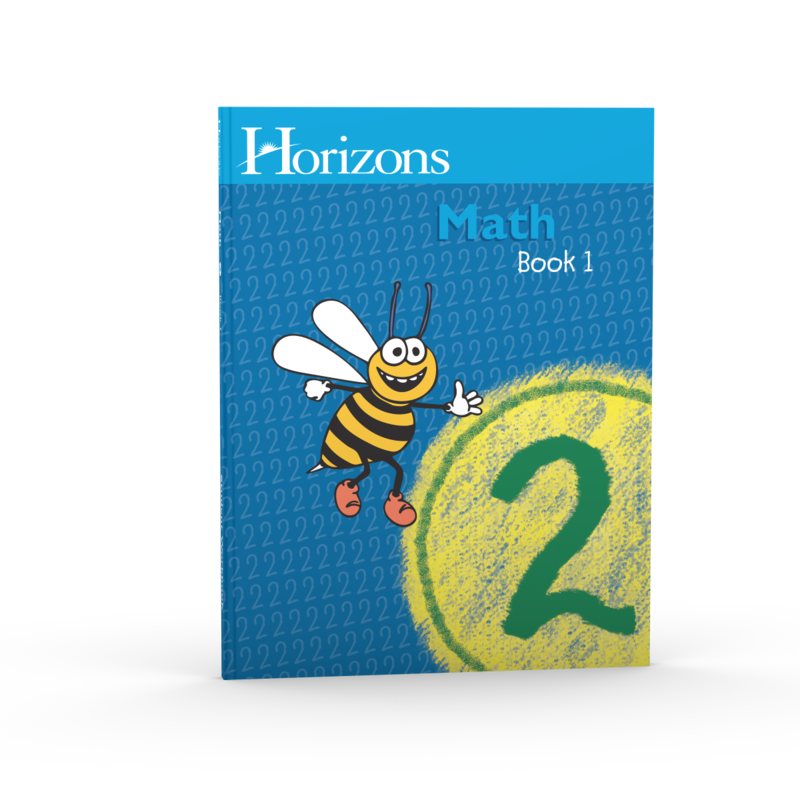 Add Horizons 2nd Grade Math Student Book 1 to your shopping cart today!